Is It a Real Soldier Behind the Screen is a must read for anyone who is currently or thinking about online dating, anyone who has friends and/or family that is online dating, and anyone that has been or knows someone that has been scammed via the Internet dating romance scam. 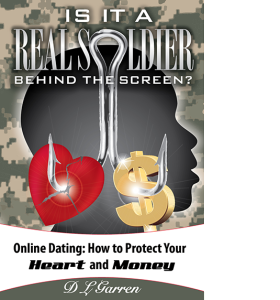 The military scam is brutal and this book provides first-hand insight and knowledge to keep your heart and money safe when online dating. DL Garren draws heavily from her chats with twenty-six scammers, three of whom revealed their real identities, and became her inside sources, and three others who verified the facts she was provided. 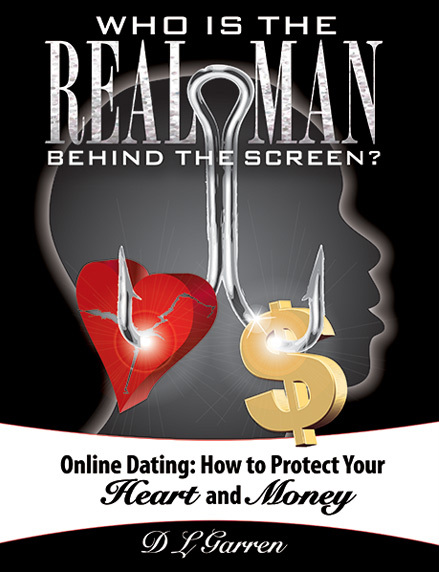 They taught her the inner workings of the “Military Romance Scam” and helped her navigate safely through her research. Now, she is teaching you so you can be safe! This book will be available on February 1, 2015. Just in time for Valentine’s Day!